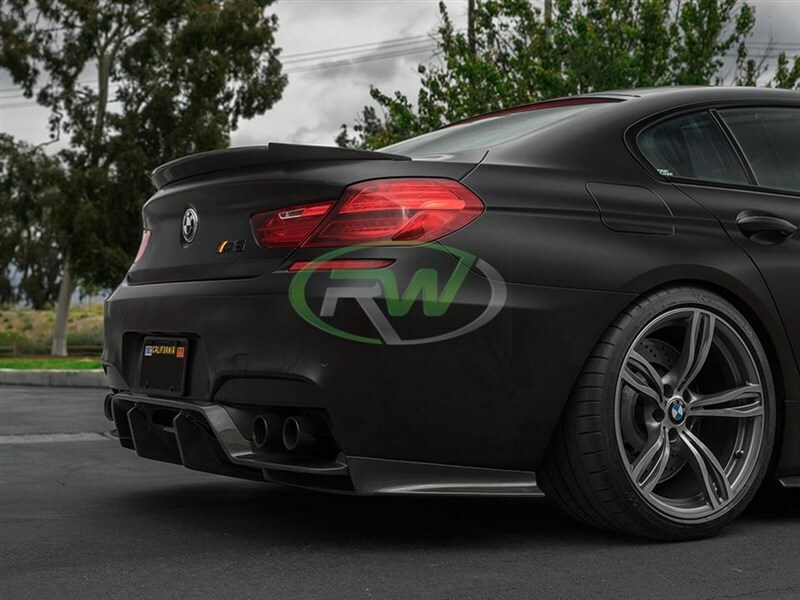 If you were a fan of our DTM Diffuser then you will love what RW Carbon has in store for you. 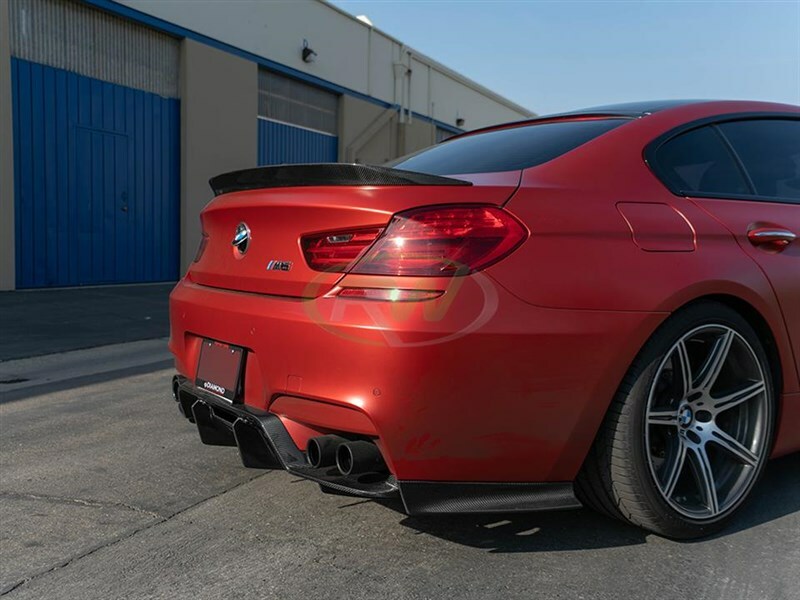 This GTX Carbon Fiber Rear Diffuser for the 2012+ BMW F06, F12 and F13 6 Series and M6 is now our most aggressive and intricate diffuser available for these models. 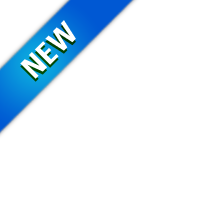 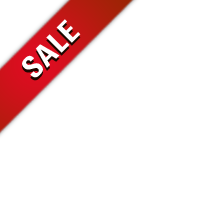 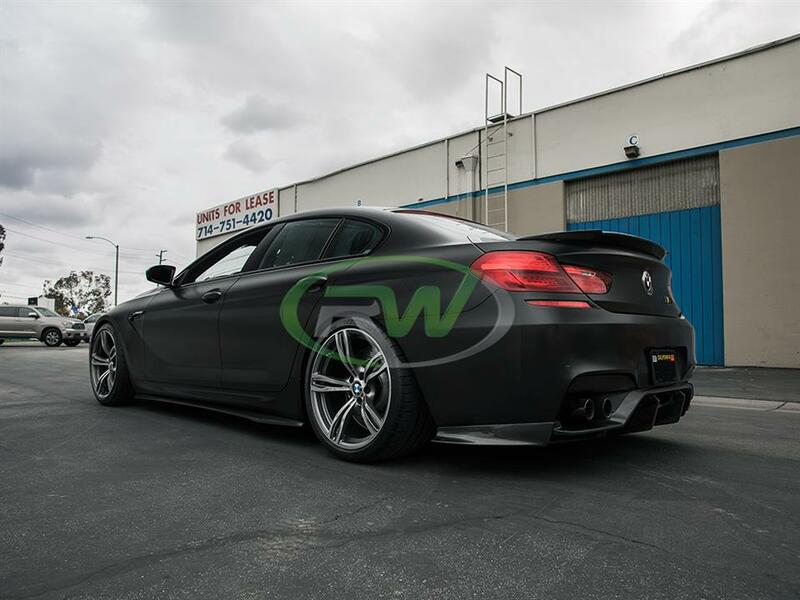 They are hand made using real carbon fiber fabric in a 2x2 weave pattern and are clear coated for a glossy finish. 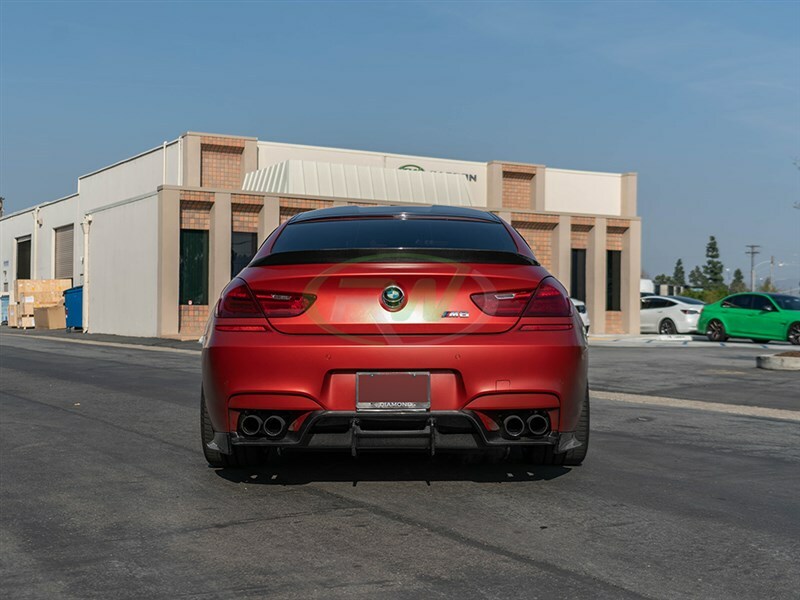 The thick clear coat also helps to maintain the integrity of the carbon fiber and keep the product looking new for many years (with the proper care and upkeep). 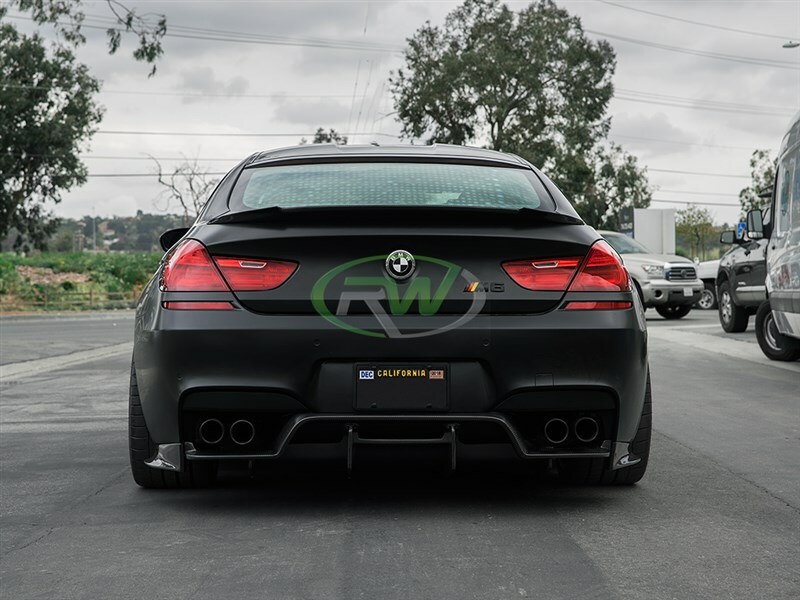 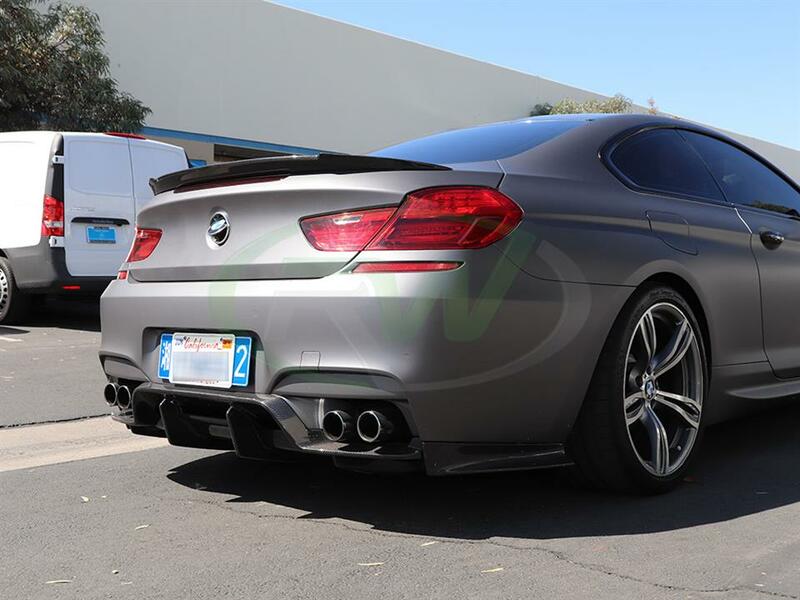 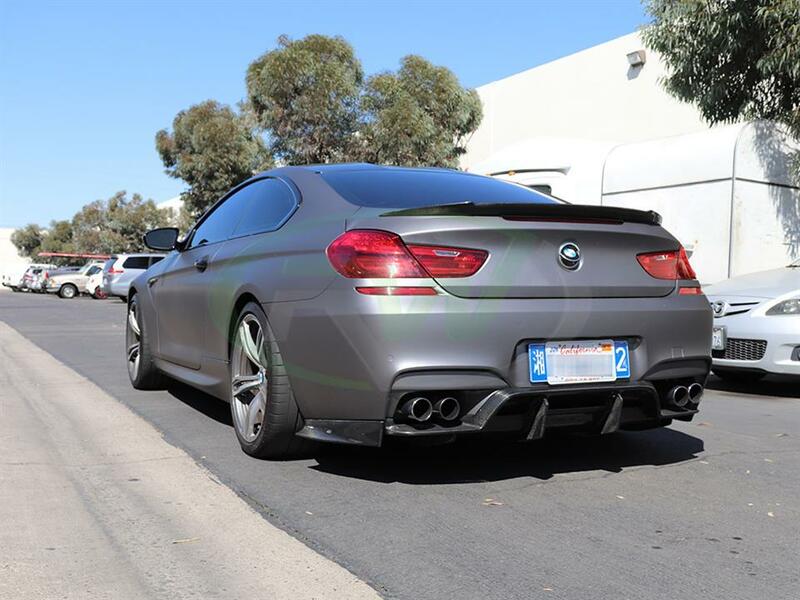 Due to the large size of this 6 series and M6 diffuser, RW Carbon highly recommends that you have a professional body or performance shop do that installation. 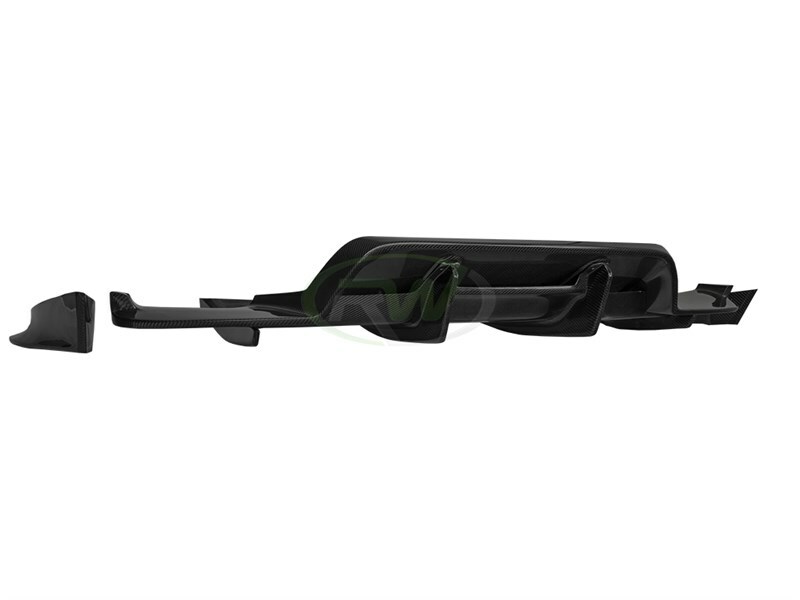 This kit comes with 4 pieces plus the hardware. 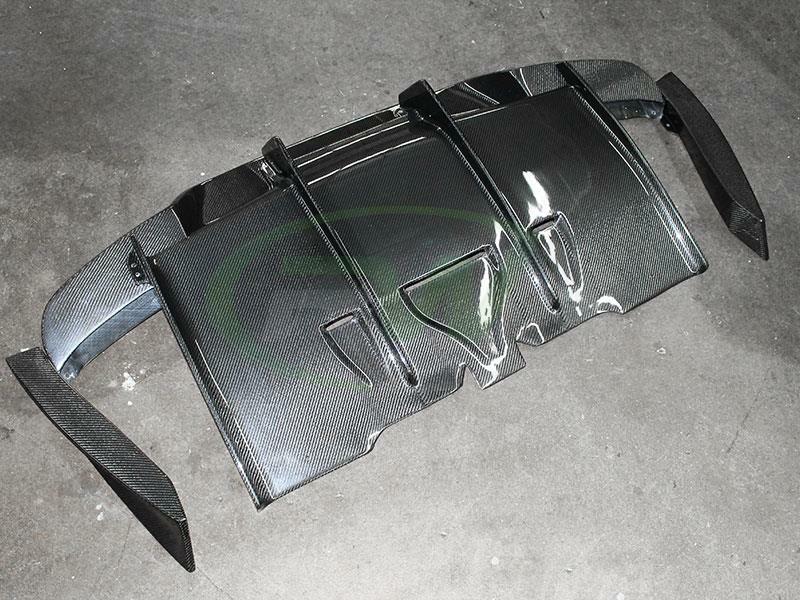 That includes the undertray, diffuser and two side rear bumper skirts. 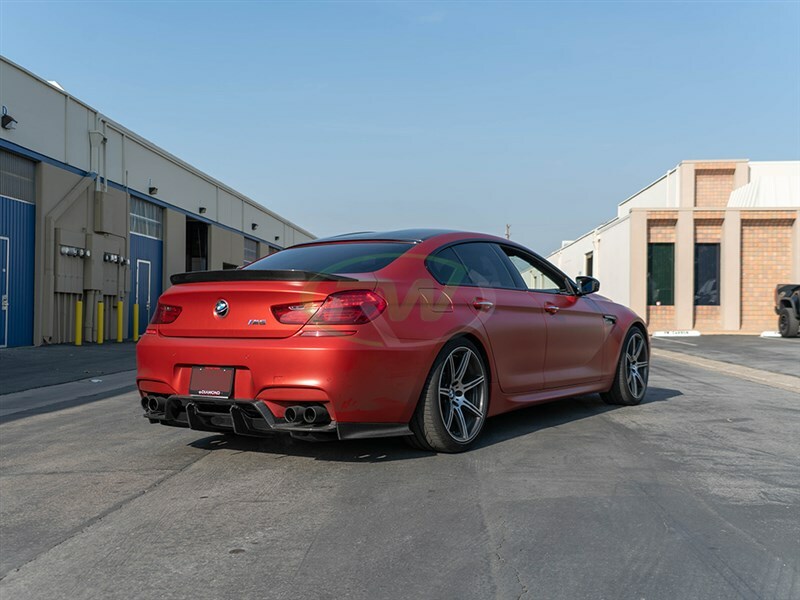 Installation on this GTX diffuser for the BMW M6 is rated as difficult. 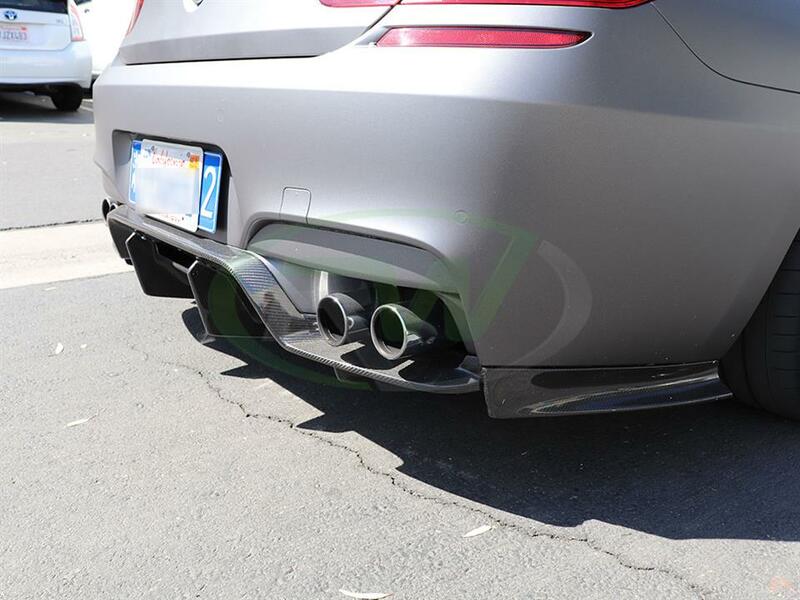 Please have this product installed by a professional automotive shop. 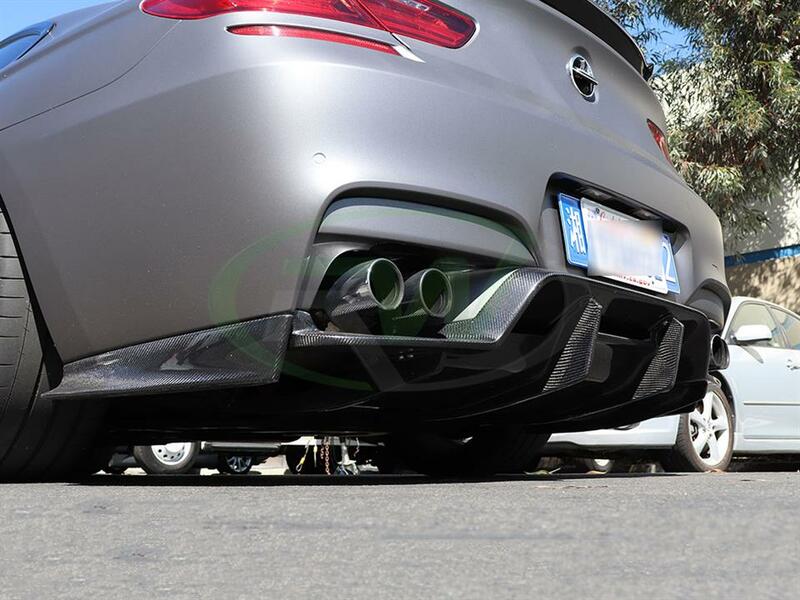 I was the first recipient of the new gtx M6 diffuser from RW. I thought the DTM diffuser looked aggressive. 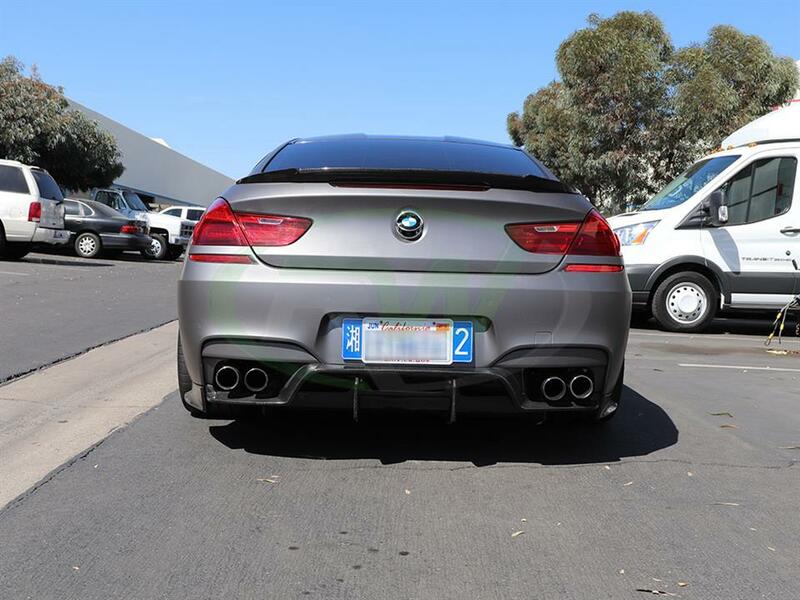 This thing rocks and makes my M6 look like a damn racecar.